From the Baldwin County Courthouse, go west on Hancock Street for 2 blocks or 0.2 mile (or the one large block containing Georgia College & State Univ.). Turn right on Clarke Street. Go one large block or 0.2 mile. Turn left onto Highway No. 22 west (Montgomery St.). Go west on Highway 22 for approximately 2.4 miles. Turn right at 212 West. Go 6.3 miles. Graves are located at 773 Hwy 212 on the right, to the right of the house about 200 feet, and about 300 feet from the highway. Gravestone not found in 2005. All info per TT (Tunnell) survey of 1939. Aged 75 yrs, 4 mos, 8 days Consort of William R. Butts All grave info per TT. 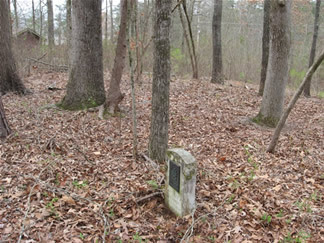 No marker found in 2005. Aged 70 years. 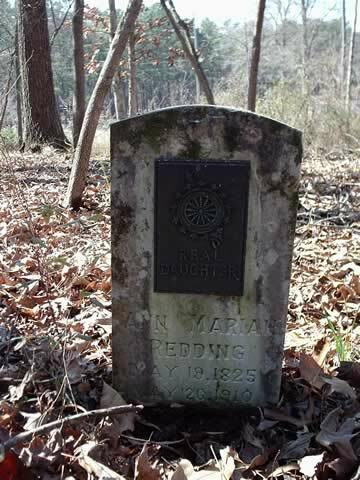 [Grave not found in 2005] d/o William Anderson, Revolutionary Patriot. All info per TT.